colorize, flip, darken, lighten, add more blur, vignette, grade, add contrast, change saturation . . .
A watermarked, full-resolution copy of every InstaBackground is available for instant download. That way you can try it out in your project and see if it works. One you've found the right image, you can then purchase the un-watermarked version. To further ensure the compositing effect is believable, most InstaBackgrounds include nat-sound audio that you can use – or not use – it’s your choice. InstaBackgrounds offer the pleasing look of shallow-depth-field that only a real lens can produce -- creamy bokeh on out-of-focus elements, and just the right amount of image grain and moving texture, that you’ll never be able to get with still photos or freeze frames. 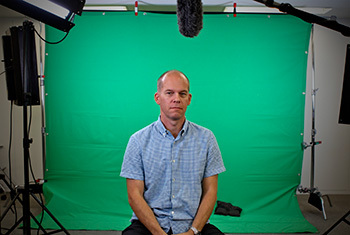 Download royalty-free video clips for use as realistic-looking backgrounds for chroma key interviews and other headshots. 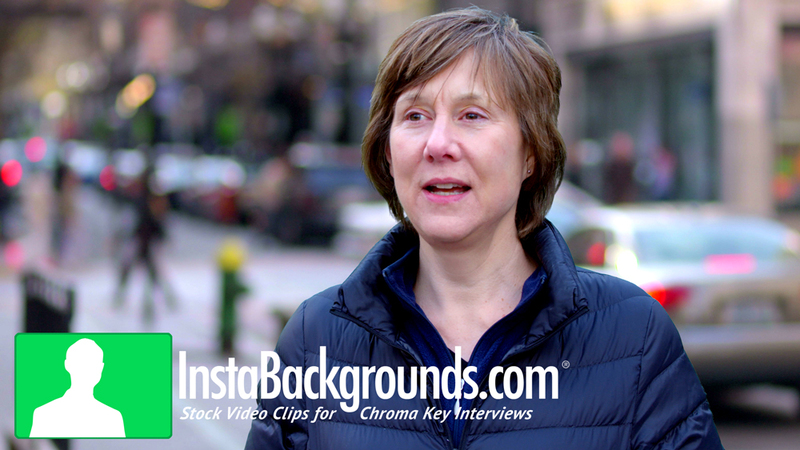 InstaBackgrounds can put high-quality interview setups with sophisticated lighting and shallow depth-of-field within reach of anyone – regardless of your camera, budget, or shooting location. Royalty-free InstaBackgrounds plates are designed to match the style of interviews that you see on high-end PBS documentaries, such as Frontline, and the best network news magazines such as 60 Minutes, 20/20, and Dateline NBC. No matter what your budget is or what kind of camera you use, now you can give your clients that same level of production quality with virtually no extra effort on your part. Think about the power and flexibility of being able to shoot an interview anywhere, at anytime, and make it look totally different in post. 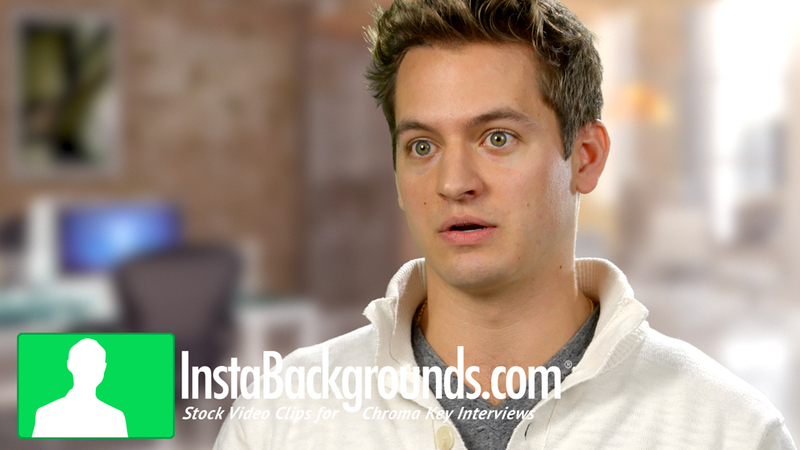 Most InstaBackgrounds are not wide shots – or even medium shots – because that’s not how high-end interviews are shot. The best-looking interviews are usually shot with long focal lengths, wide-open f-stops, and artfully designed lighting to get as much separation between the talent and background as possible. InstaBackground plates are purposely shot out of focus so they look as realistic as possible. Now you may ask why you can’t just blur-out a background in post? 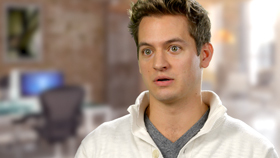 Well you can, but the bokeh and depth-of-field won’t look as good. There’s just no substitute for shooting a real background, with a real lens, focused as if the talent was actually positioned about 8 to 12 feet from the camera. 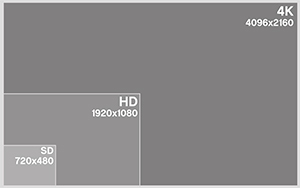 Every InstaBackground 4K image has more than four-times the resolution of 1080P and more than nine-times the resolution of 720P. 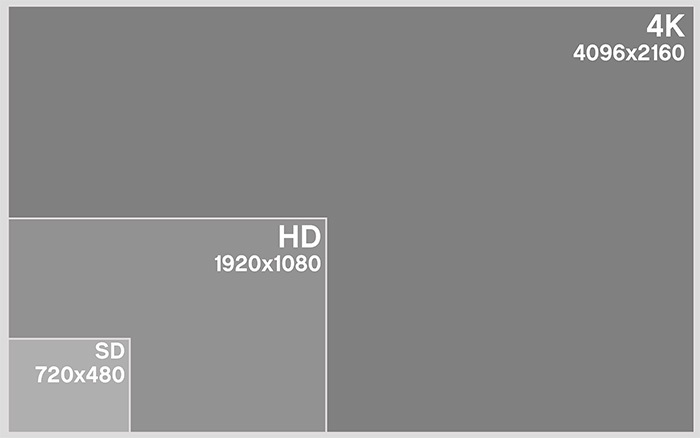 So that means that if you’re editing with an HD timeline -- but using a 4K (4096x2160) image for your background -- you can zoom-in and change the scaling of the background, pan the background to adjust the framing, or simply use it full-screen -- all with perfectly pristine image quality --because it's a 4K video clip. Of course, if you still prefer HD (1920x1080), all of our clips are available in that resolution as well. You won’t be forced to settle for less-than-ideal backgrounds, just because that’s “all there is” at the shooting location. You won’t have to worry about competing with, or being interrupted by, ambient sounds in the background. The beauty of a green screen interview is that you can pretty much set it up anywhere -- an office, conference room, hotel room, living room, basement, garage, etc. You won’t be constrained by the limitations of weather conditions, the time of day, or seasons. 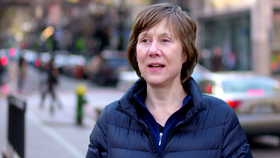 You can give all your interviews a consistent look and style -- no matter where or when you shoot them. You can place your talent in locations that might not otherwise be available for shooting. You can choose a background that has windows without worrying about exposure issues – something that might be very difficult in the real world without a lot of extra work and equipment. You can set up and break down a green screen in a matter of minutes, which saves time over choosing a real location, then lighting the background, and dressing the shot with props. InstaBackgrounds provide maximum versatility and are easy to customize with any NLE’s built-in image adjustment tools. Imagine the power of being able to make infinite adjustments to the background image without ever affecting the talent in the foreground. An InstaBackground is never "done" until you say it is. You can change the white balance, flip it horizontally to reverse direction, darken, lighten, add more blur, add a vignette around the edges, grade individual elements, add or reduce contrast, change the color saturation, and much more. In addition, because of their high resolution, 4K InstaBackgrounds allow you to change the framing by zooming-in (up to 2x), panning, cropping, and rotating the image without ever affecting the picture quality. InstaBackgrounds look real, because they are real. Most of our backgrounds are shot in real locations with state-of-the art, super-35mm 4K cameras and high-end cinema lenses. Preview, purchase and download full resolution content with just a few clicks. No waiting for discs or tapes to arrive, and no complicated licensing process. Buy exactly what you need and get to work right away. Royalty-free. All InstaBackgrounds are at least :30 long, and most can be seamlessly looped. We don’t offer swirling animations, cheesy-looking virtual sets, unrealistic camera angles, still images that ought to have some movement in them, or computer generated backgrounds that look fake. © 2013 Vortex Media. All rights reserved.